Live Church Service | Stream your Worship services! 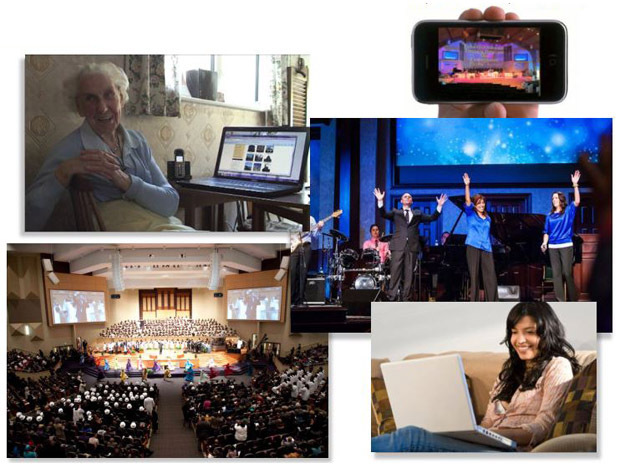 Stream Breeze systems are perfect for live church service video streaming! Our live video and audio production systems can feed signals to projector(s), in-house CCTV system, air your live church service on the Internet. Bring in content from software such as Easy Worship, overlay text, and graphics, record, and broadcast live to virtually any server. Stream Breeze is the perfect outreach tool for any church large or small. 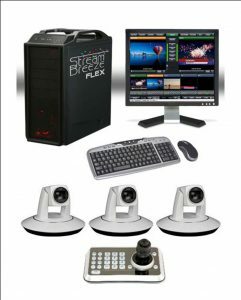 Each system is also bundled with video editing and DVD authoring tools to create a complete TV studio in a box solution. Making it the most cost effective live production tool available in today’s market. Generate income by streaming and/or recording and selling DVD’s of your events (weddings, baptisms, Easter pageants, etc) not just your weekly services. Get your message out to shut-ins and others who can’t be present for your regular service. Archive services for Video On Demand so people can watch your program anytime day or night from anywhere in the world. Get the younger generation involved. Make your service available on any internet-connected device: Cell Phone, Tablet, Computer, Smart TV. Live on-line training and ongoing support. Here is a great starter package with everything you need to begin spreading YOUR ministry worldwide! Call us today at 888-463-9805 to schedule a Live Demo!